If you live in Bucks County, PA, then you are familiar with the beautiful cultural landmarks The Washington House and Sellersville Theater. Fine dining and nationally recognized music acts make this a popular destination for people of all ages! MSP recently was contracted to provide an extensive HP Aruba solution to provide a wireless solution to encompass the entire facility, including restaurant, hotel, theater… even the green room where the stars wait to perform! The end result was excellent coverage from a multitude of computing devices from all areas. 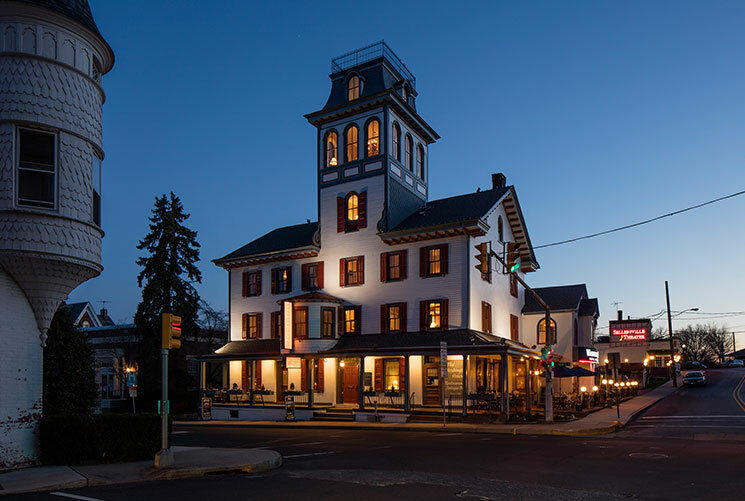 Please click here to find out more about the beautiful Washington House and Sellersville Theatre and their upcoming music schedule.